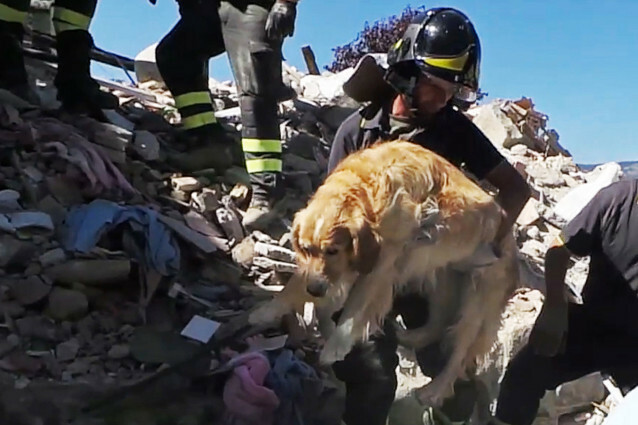 A golden retriever called Romeo was resuced after being trapped under rubble for more than nine days. 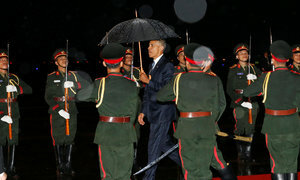 As it becomes clear he is unscathed, the fireman holding him puts him down. Romeo then tiptoes gracefully down the pile of rubble to be reunited with tearful owners who had given up hope of finding him alive. "He's in great shape," says one of the firemen as others whoop in delight while Romeo trots around what remains of his yard. A labrador who works as a police sniffer dog, Leo was granted an audience with Pope Francis on Saturday, two days after he was guest of honor at a summit between Italian Prime Minister Matteo Renzi and German Chancellor Angela Merkel.